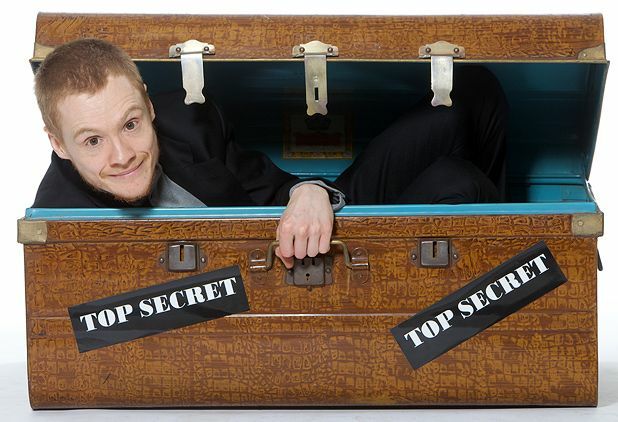 Coming on like a poetic auctioneer or a wayward racing commentator, Andrew Lawrence variously channels the guises of his grandmother, a fitness buff, a middle-aged man, a whining Scottish wean and a long-lost Trinidadian relation. All the while he discharges kamikaze philosophies a-hundred-to-the-dozen – the economy here; gym culture there. And it is outstanding. The last few years have seen the whippet-like stand-up being revered for his cantankerous rants, and he opens his show in fitting style by carping at stragglers coming through the door and crabbing about the lighting. Yet his crepuscular outlook and crooked demeanour are often best targeted back at himself with some self-directed barbs about passing down wisdom, New Year’s resolutions and sharing a bed with the one you love. These all had him mirthfully insinuating that he’d spawned local offspring, was bereft of friends, and had dabbled in gerontophilia. I’m not in a position to corroborate the verity of these tales, but what’s certain is that Lawrence is an accomplished storyteller; each of his extended, fire-crack tirades had countless punchlines and endless surprises, and his performance was shot through with several unlikely recurring motifs – skin-lightening cream, Croatian wine – most of which felt fully-formed and deliciously bleak, despite appearing totally off-the-cuff. Pleasance Courtyard, 556 6550, until 28 Aug, 8pm, £11–£12.50 (£9.50–£11).